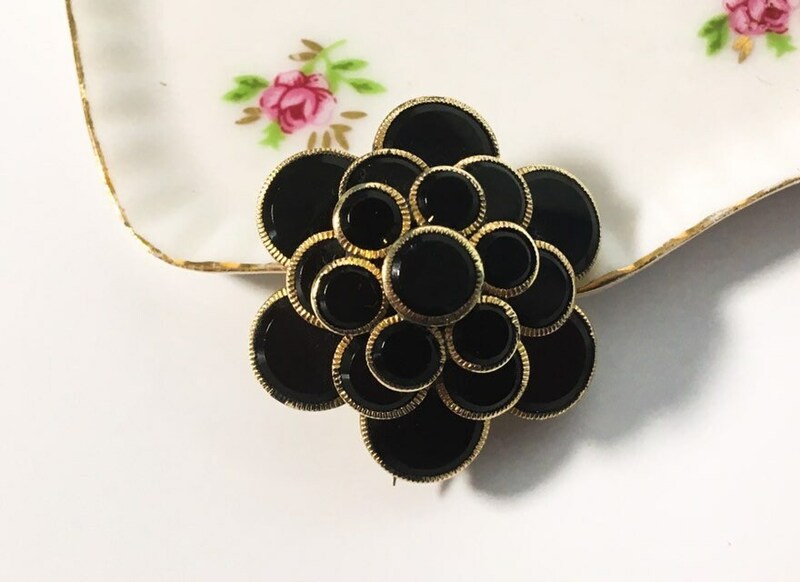 An antique Mourning Brooch from the Victorian era. 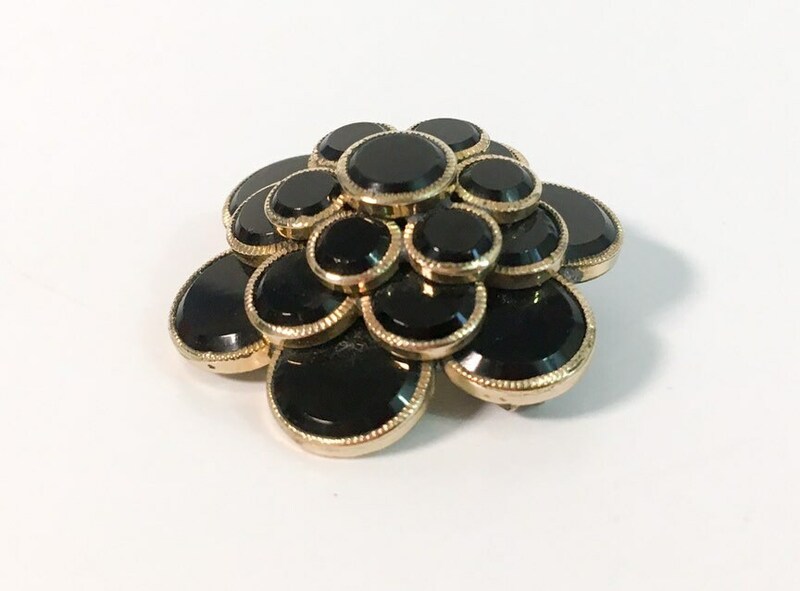 This Brooch features round black glass pieces trimmed in gold tone metal. 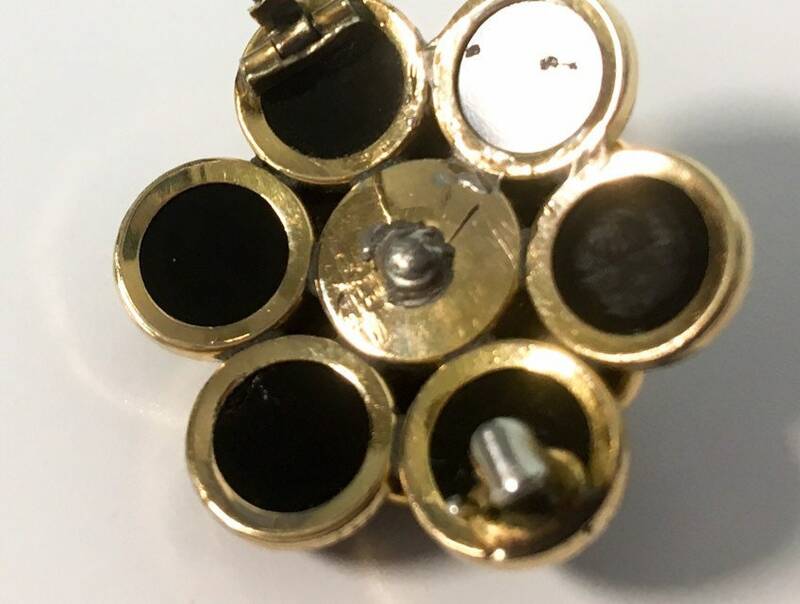 The gold tone trim has a tiny Ribbed surface. 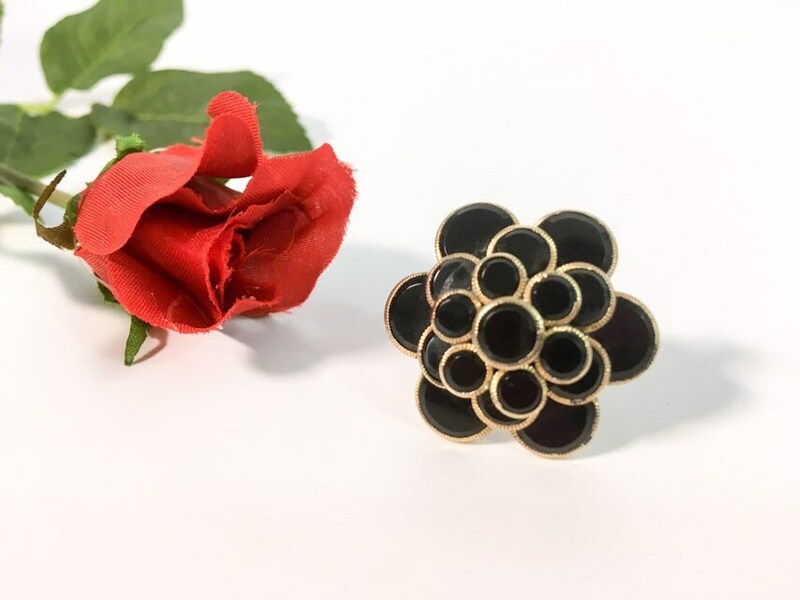 The pin reminds one if a flower shape with its layers all upon each other for a total of 19 round black glass pieces. The bottom puefes have the largest diameter. The discs on the other two layers are in graduating smaller sizes. The center piece is the size if the middle layer. 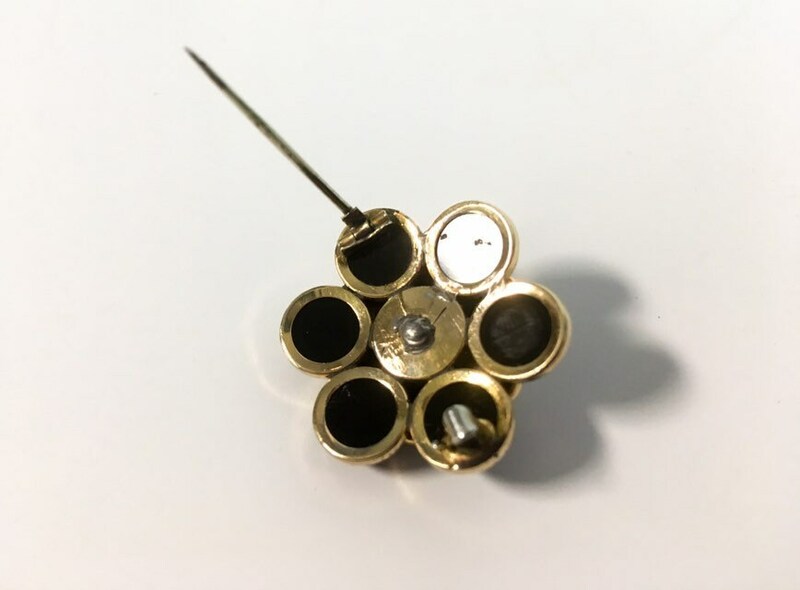 The back has a pin closure with a tiny safety clasp on the end. 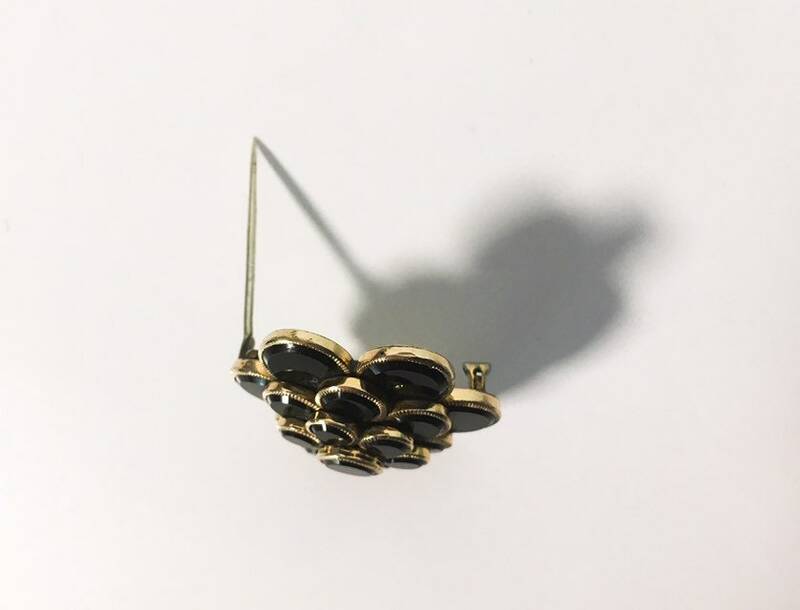 Mourning Jewelry like this Brooch were common in the Victorian era. They were usually black and we worn to show the wearer had just lost a loved one. In nice condition with wear commensurate with antique age. This Brooch is circa late 1800s to early 1900s. The Victorian period was from about 1837 to 1901.